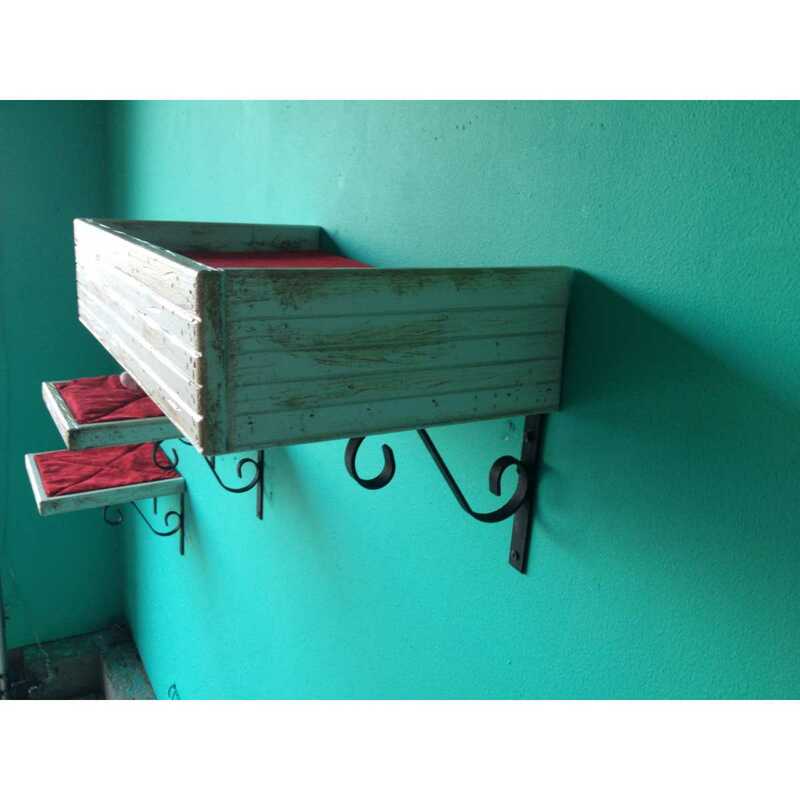 These beautiful reclaimed wood cat shelves are made from old wood and reclaimed fence wood. The brackets are hand made with durable iron with either a classic scroll design or a sleek straight line. 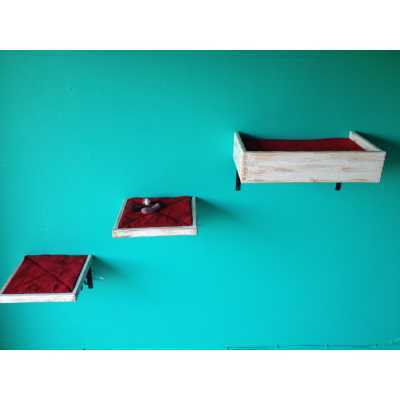 The shelves come with a soft custom cushion or a cozy carpet on them. The bed insert is made with a soft yet supportive foam encased with a matching cozy fabric. These shelves are perfect for any cat! 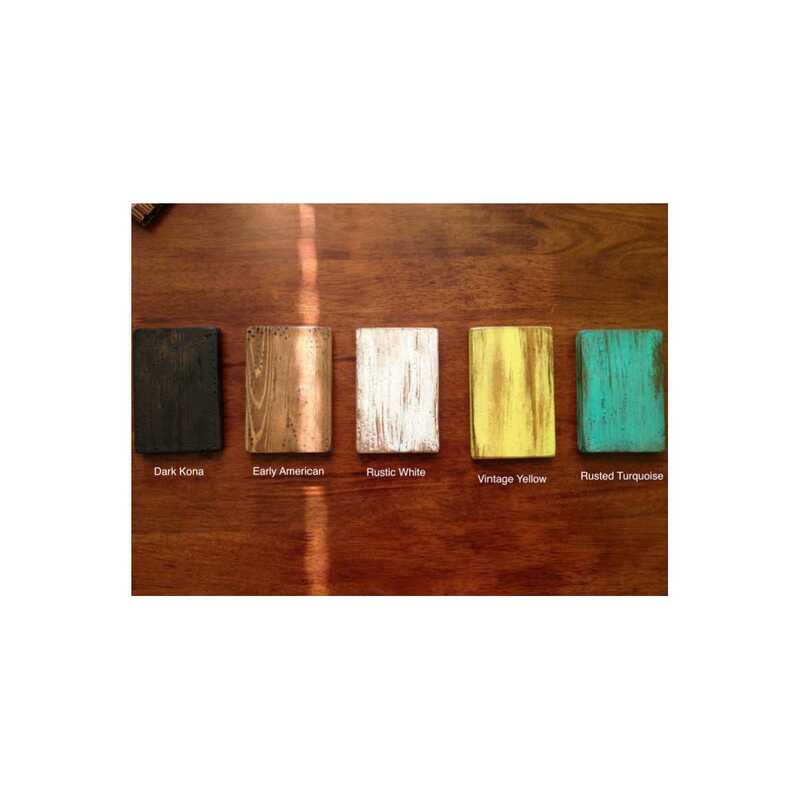 Each produced set of shelves will vary in color and in texture through the reclaimed wood used. This makes each shelf we produce unique and beautiful. 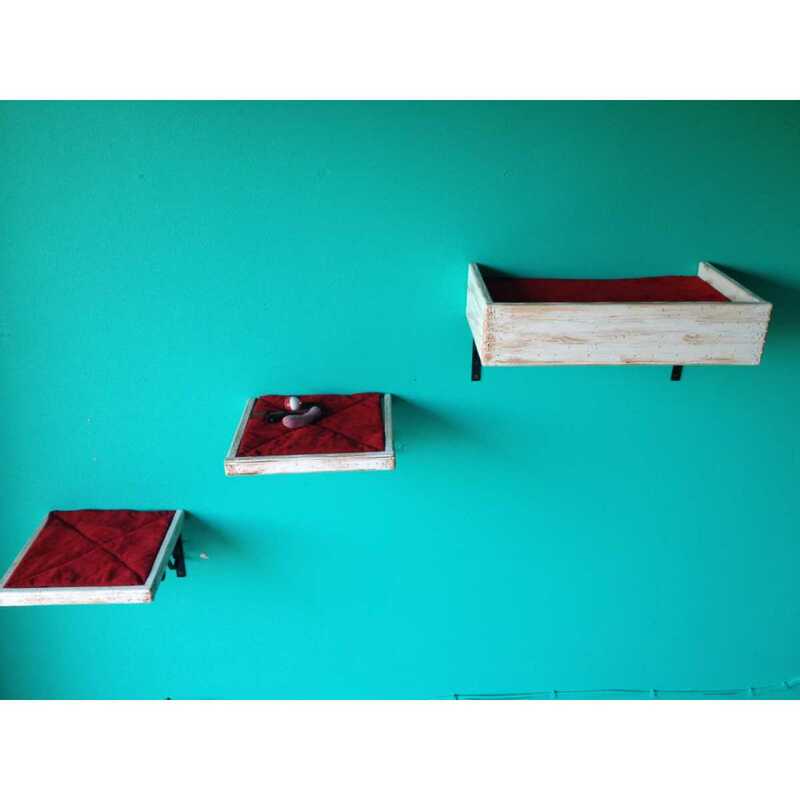 The cushions and/or carpet for the "Stepping Square" shelves are attached with heavy duty decorative upholstery tacks. These have been cat tested for strength, comfort, and cuteness. Finished with a satin polyurethane coat. 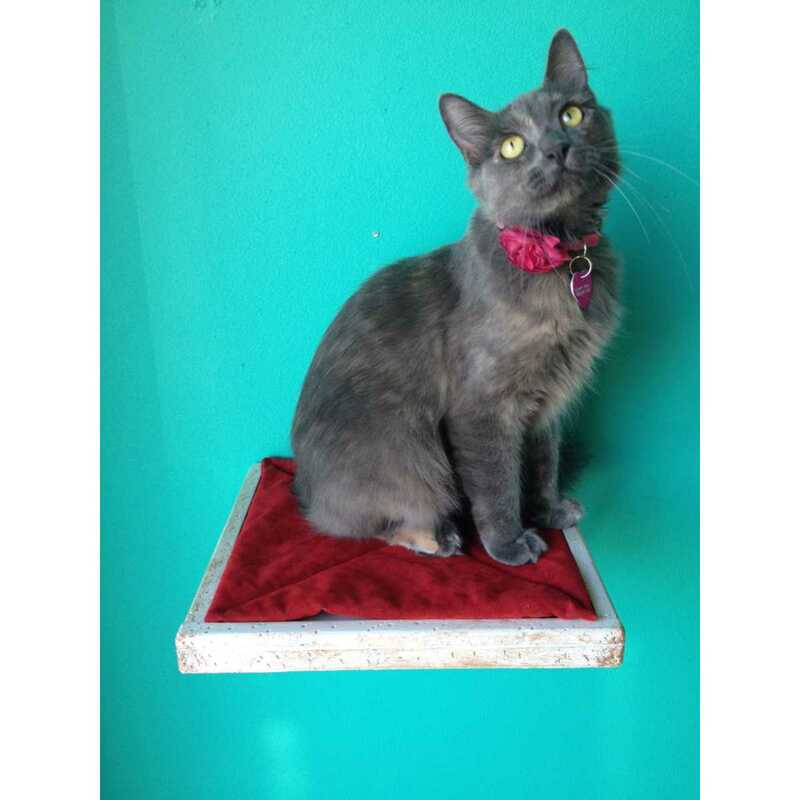 -Cat Shelf "Stepping Square": 11" Length x 11" Width x 1 1/2" Height. -Cat Bed "Perch Bed": 18" Length x 11" Width x 3 3/4" Height. 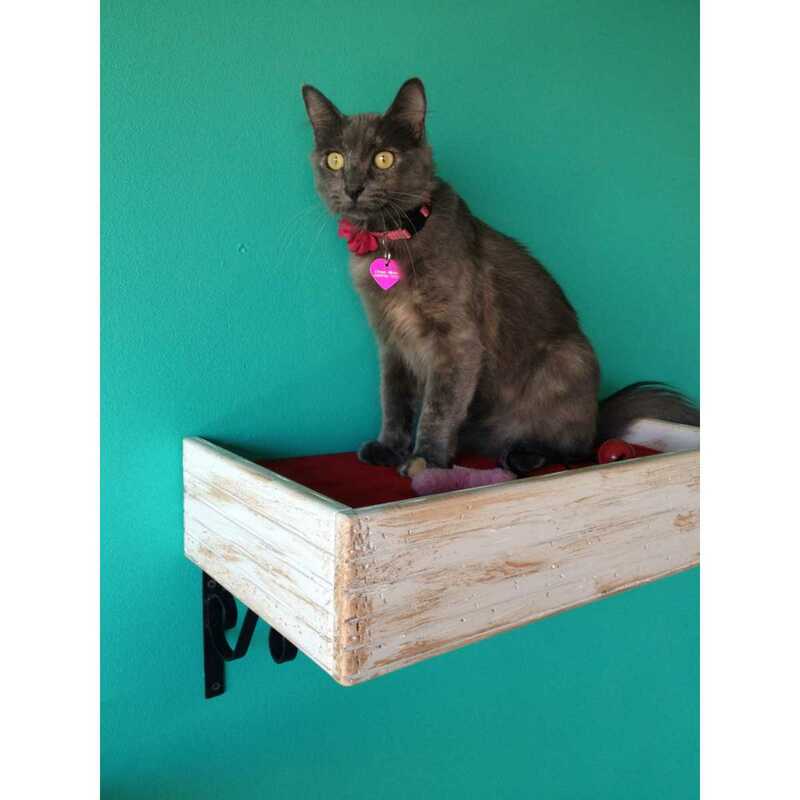 Each shelf (when installed in studs or used with wall anchors) safely and securely holds up to 40 lbs, perfect for any sized house cat!